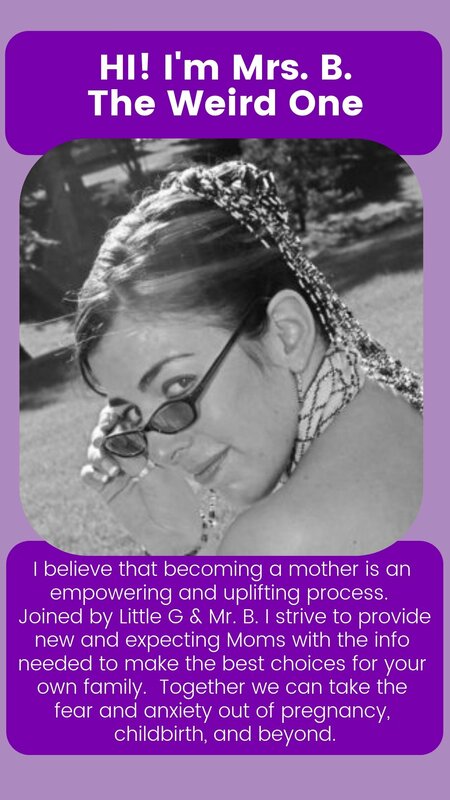 Hi, Mrs B here, I want to say that Cesarean births can be absolutely amazing and empowering for some women. And I totally agree with the statement that if you had a baby inside you, and then it came out, you gave bith! Ladies I’m totally humbled by the strength this Mamma has shown in delivering her little ones, not just because she was younger the first time, but for her ability to see that stories like this need to be shared just as much as ones like mine. Please, when you are reading this keep in mind that there are things we can learn about birth, and let’s be honest, as much as we would all love our births to go the way we plan them that is not always the case. The biggest thing I’ve learned from Brandi’s story is that if we don’t know what is happening it can increase our fear. And this is one of the reasons why I highly recomend ensuring you trust your team to handle the situation, and learn what the stages of labor are so you know what to expect. HELLO MY NAME IS BRANDI CRANE, so this is not meant to scare anyone at all this was just my first birth experience ever and the second one was also cesarean as well but completely different experience all together and I am sure my 3rd one which is due Feb 18th will be like the second one. So first I want to explain that with my first birth I was only 18 years old and didn’t have a lot of help or family support and although the father and I weren’t dating at all it was scary yet a blessing as well. So first things first I was 37 weeks when I went into labor at Walmart of all places. I was currently living in Coeur Dalene ID. So as I thought I was going into labor because of other labor signs that weren’t contractions I just had a feeling that the baby was trying to come and sure enough she was. I was brought to the hospital and I was checked and only dilated to a 3 which shocked the doctors that she was trying to come out since I was that early let alone not fully dilated. So they broke my water and gave me the epidural, mind you I had no contractions at all. None that I could feel anyways. So when I received the epidural I was preparing myself for labor when all of a sudden her heart rate dropped and they told me I was being rushed into surgery for a c-section. I was terrified not because of surgery but because I was only 18 and I wasn’t ready for natural birth or a c section, I was clueless to all of it. So as they prepped me for surgery I remember the room being so cold that I couldn’t stop shaking. Also let me point out that because i had the epidural they thought i was numb and good to go. Unfortunately I wasn’t numb at all but they were so concerned about saving my baby they just assumed and started cutting. Mind you being under the blade of a scalpel was terrifying only because I felt everything. Not to mention the blue cover that was placed before me covered everything, or so I thought. As I am shaking on this table and feeling every slice I look up crying and realize their is one of those bubble mirrors in the corner so not only was I feeling everything I was watching it happen. I don’t know if that intensified the pain or not but it was the scariest experience I have ever been through. 15 mins later I had given birth to my beautiful daughter and she was alright, and so was Ii they figured out that I had felt everything because of the screams and me crying so they decided once my daughter was safe they could give me more meds as they stitched me up. Like I said this isn’t meant to scare anyone but this is my first birth story and I want to tell it like it is because if anyone should have a c section and you don’t feel numb please make sure the Dr. Is aware because I would never want anyone to go through what I did especially at such a young age. Now with my son it was completely different because it was a planned c section so they knew what they were doing and the right meds were given. I do have to say although I have had 2 c sections I have never felt a contraction or had my water break. My sons birth was beautiful and smooth sailing all the way through. I am explaining this because I am currently pregnant with my 3rd child and because my other two children were both delivered at 37 weeks I haven’t gotten the full labor experience until this child because I am scheduled for delivery at 39 weeks. I have to say with reading your story I completely agree people have made labor and birth seem so scary that feeling my first contractions although uncomfortable is not nearly as bad as everyone has made it sound. Although every woman is different. I am nervous for this one only because I haven’t had the pleasure of having my water break or full on contractions and I am already dilated at 2 cm and I am only 37 weeks which I didn’t realize your body still prepares for labor even if you have had c sections. I am very happy and I take in every uncomfortable pain with a different mindset because I wasn’t able to give birth naturally. I also want to say just because you have to have a c sections doesn’t mean your body failed you, you still gave birth to a child it doesn’t matter if it’s natural or c section. You still did it and you’re just as much as a mother regardless of having surgery or doing it naturally. Thank you for taking the time to read my story and I will most likely post about my 3rd when the time comes. I only want to share so I can let more moms be aware that just cause you have a birth plan doesnt mean it will go as planned and even if your not wanting a c section when it comes to you or your child health that is the most important part is making sure both lives are saved. Thank you Mrs B sincerely a cesearen mother. Thank you, Brandi! I hope your 3rd delivery goes exactly how you hope it will, and I look forward to reading your next story 😉 If you know anyone else who would like to share their story please let them know they can do so here.